Jacques Calonne in 1978 at Grand Sablon Square, Brussels. Jacques Calonne (born 1930 in Mons) is a Belgian artist, composer, singer, actor, logogramist, and writer. Calonne studied music from 1944–46 at the conservatories of Mons and Brussels, with amongst others the composer André Souris, who introduced him to the surrealist movement. He then pursued a course of art studies at the Académie Royale des Beaux-Arts in Brussels from 1947 to 1949, when he attended “La fin et les moyens” (The End and the Means), the first Belgian exhibition of the Cobra group at the Palais des Beaux-Arts de Bruxelles, where he met Christian Dotremont (Coninck 2007). He immediately attached himself to this movement, becoming its youngest member and taking part in its meetings in the rue de la Paille, as well as in its review and at the exposition "L’Objet à travers les âges" (The Object through the Ages) (Minne n.d.). Dividing himself between music and visual arts, he continued to pursue a double career after the dissolution of Cobra (Coninck 2007). In 1954 he made his first visit to the Internationale Ferienkurse für neue Musik at Darmstadt, where he met Karlheinz Stockhausen and Bruno Maderna (Anon. 1997). In 1956 he exhibited paintings at the World Congress of Free Artists in Alba. He is, for all the manifestations of avant-garde, not so very much a nonconformist. In 1957, he co-signed the "Manifesto against Style" with, amongst others, Serge Vandercam, Pierre Restany, Yves Klein, Roel d’Haese, and Pierre Alechinsky (Minne n.d.). In 1964, he began publishing his writings (e.g., the novel Belle que jamais, published in Strates, one of Dotremont’s journals) while continuing his musical activities (Deplus , ). His 1959 composition Quadrangles was performed on 24 January 1965 at the Wallraf-Richartz Museum in Cologne, in the concert series of the second Cologne Courses for New Music (Stockhausen 1971, 198). In 1971, he created the first of his ink-on-music-paper works and published sixteen lithographs, with the title "Muettes", in the Daily Bul. In the following year, he resumed painting in oils on paper and fabric, and exhibited at the Venice Biennale. Perpetuating the spirit of Cobra, he employed the principle of nonspecialization, cherished by the group, creating logograms together with Dotremont. In 1981, he painted on assemblages of match boxes. Though he exhibited in 1949 as a member of Cobra, his first one-man show was mounted only in 1970 at the Dierickx gallery in Brussels. Subsequently, he exhibited many times in this city, where he lives in the working-class neighbourhood of Marolles. He frequently participates in collective exhibitions in Belgium and abroad. His graphic and pictorial work is in the tradition of the plastic practice of writing which developed in Belgium. The rhythm of the elements, the musicality of their distribution in the appropriation of space, and extreme scriptuary fluidity of the symbols reveal the very personal contribution of this musician who paints and draws visual scores (Minne n.d.). In 1995 he played the rôle of the Representative of the Ministry of Culture in the demonic Camping Cosmos (1996). 1968. "Aspects d'un resume (Apropos d' Orbes pour orchestre)". Revue d'Esthetique 21, nos. 2–4 ("Musiques nouvelles"): 59-103. 1991. Facéties et compagnie de Christian Dotremont. Préface de Pierre Alechinsky, mise en page de Michel Olyff. Brussels: Quadri Gallery. Anon. 1997. "Quadri Gallery" (September). INFOSURR: Actualités du surréalisme et de ses alentours: La bibliothèque d'Infosurr (Accessed 11 January 2010). Arlan, Claude. 1997. "Surréalisme et avatars". Infosurr, no. 12 (April). Bertot, Colette. 2007. "Rythmes légers d'un musicien des signes", L'Echo (4 May). Reprinted in exhibition invitation, Jacques Calonne: Aquarelles, acryliques et encres de Chine (1961–2007). le mardi 17 avril 2007 de 18 à 21h. Exposition du 20 avril au 19 mai 2007. Brussels: Galerie Didier Devillez. Calonne, Jacques. 1991. Facéties et compagnie de Christian Dotremont, préface de Pierre Alechinsky. Brussels: Galerie Quadri. Coninck, François de. 2007. "Calonne! Jacques Calonne!" In exhibition invitation, Jacques Calonne: Aquarelles, acryliques et encres de Chine (1961–2007). le mardi 17 avril 2007 de 18 à 21h. Exposition du 20 avril au 19 mai 2007. Brussels: Galerie Didier Devillez. Deplus, Jean-Claude (ed.) . "Christian Dotremont: Guide du visiteur". Exhibition catalog. Mons: Jean-Claude Deplus. Doutreligne, Michel, and Christian Dotremont. 1990. Jacques Calonne: par coups détachés. Brussels: Galerie Quadri (19 April–5 May). Minne, Michèle (ed.). n.d. "Jacques Calonne". BALAT (Belgian Art Links and Tools): Dictionnaire des Peintres belges (Accessed 11 January 2010). Stockhausen, Karlheinz. 1971. Texte zur Musik 3. Edited by Dieter Schnebel. Cologne: Verlag M. DuMont Schauberg. ISBN 3-7701-0493-5. 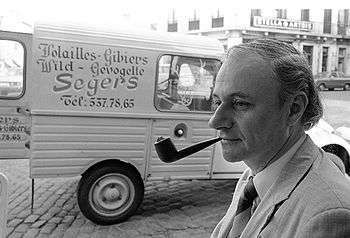 Voiturier, Michel. 1993. "Visible, invisible, peinture, écriture." In Montrer l'invisible : figuration et invention du réel dans la peinture 146–49. Dijon: Editions universitaires de Dijon.